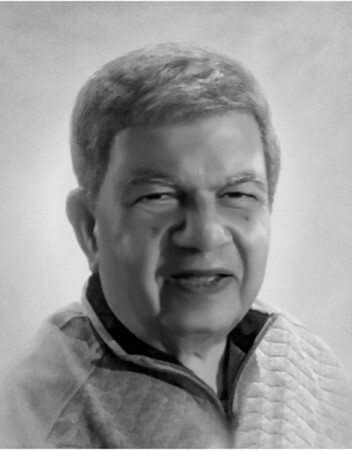 Sudhir Ray, 82, of Farmington, beloved husband of Vanita (Chheda) Ray, died on Saturday, Jan. 26, 2019, at John Dempsey Hospital, Farmington. Sudhir was born on Apr. 29, 1936 in India, and was a son of the late Jadavlal and Shialabala (Karmakar) Roy. He was raised in India before going on to attend the University of London. He emigrated to Canada and eventually settled in Bristol in 1982, where he lived and raised his family before a recent move to Farmington. He received his MBA from the University of Hartford and served a long career with Wallace Barnes and Theis Precision Steel as a metallurgical engineer before his retirement. He enjoyed spending time with his grandchildren and watching his children participate in all their activities. He was a great friend to many and was well respected by all those who knew him. In addition to his wife of 52 years, Sudhir is survived by two sons and daughters-in-law, Jay and Laura Ray of Hampden, Mass., and Bunty and Meghan Ray of Bristol; two sisters, Dolly and Polly of India; grandchildren, Koby, Kasi, Kylie, Jackson, Sydney, Kadambari, Trisha, and Niki; and several nieces and nephews including, Jaya Singha and Ajeet Karmaker of Wallingford. He was predeceased by a daughter, Ann Ray. Relatives and friends are invited to a visitation at Funk Funeral Home, 35 Bellevue Ave., Bristol, on Saturday, Feb. 2, 2019, between 2 and 4 p.m., with sharing of words of remembrance at 4 p.m.
Posted in The Bristol Press, on Monday, 28 January 2019 20:51. Updated: Monday, 28 January 2019 20:53.